This Webpage is about the author of God's Directions for Life Website: I am a licensed Minister with a radio ministry "Revival in the Word" for over 27 years. I have served in various positions in the church for 40 years. I grew up in a small town in southern Illinois. I lost my mother at an early age and was placed in several foster homes along with one of my sisters. I was introduced to church life at an early age but was not to make a total commitment to the Lord until I was 35 years of age. I fell totally in love with the God of my creation; and a loving Savior, the Lord Jesus Christ. I have had many instances in my life where my present age would not have been attainable had it not been for the divine intervention of the Lord; as reflected in "Glimpse of One Life." I served in the United States Navy for 20 years. 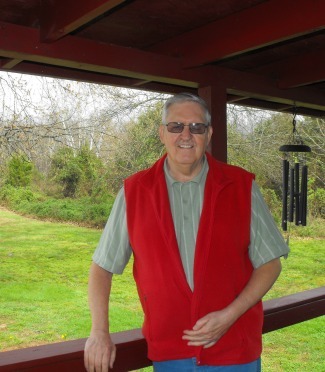 I am a Vietnam veteran with numerous awards for services rendered in the military. I was called into the ministry in 1983. I am thankful for the opportunity to have served my country; as a member of the armed forces, but of even greater significance is servitude to my Lord (Romans 6:22) and His calling upon my life. I see a "falling away" of the church of its original stand; in America, and other Western nations. I see a new foundation being laid that is in opposition to its original commitment. I see a need to return to God; more than ever before! We are living in a time when anything that resembles "Christianity" is under attack in many nations. I believe this is encouraging the "Judgmental Side of God" to be unleashed unless a return to our former commitment takes place. In regards to this Website I am constantly seeking the guidance of God's Spirit towards what is placed in its contents to coincide with the times in which we live.